As you can see the new design just went live. Congratulations! Thank you for your valuable design feedback. We have also themed the chat rooms and newsletter template for this site, and adjusted the privilege levels to higher thresholds. 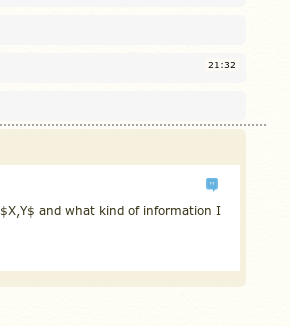 If you see any CSS/styling bugs, please start a new post and tag it with design and bug. Congrats again and thank you for being an awesome community! I guess, I'd prefer something a bit down-tuned, either in grey or blue. BTW, I'm sorry I've missed the original email a month ago. The footer is almost unreadable if you have good eyesight, and actually unreadable if you don't. Make sure your designs are high enough contrast to be accessible to everyone. The contrast ratio between text and background should be at least 4.5:1 (see page 36). I only have one problem - In the Hot Network Questions, this logo is hard to distinguish at first glance from the Workplace logo. Perhaps the classic impossible triangle? Thank you! I'm sure we can agree that it looks amazing! Minor suggestion (or question): I think the design would lool slightly better if the icon would use all four primary colors instead of just red/green/yellow, in particular the minaturized icon. This is a minor change, but those little badges-puzzles-pieces, they are much better than keys, but I would rotate them, otherwise they look exactly like Apple logo. 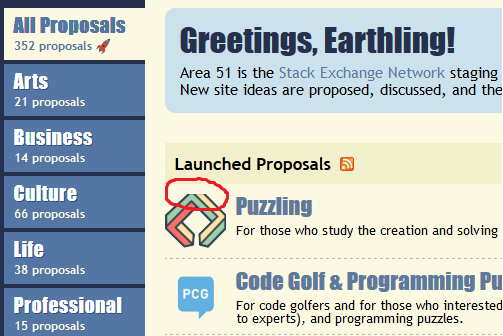 In the Area 51 Launched Proposals section, the new icon is not fit with the placeholder, a minor top part of the icon is truncated. Puzzling Meta icon should say "meta". Ok, I noticed that on my network profile the Puzzling icon is still the Beta one. Note the ?? standard icon, not the <> design. Will this be changed? Just a few more suggestions that are completely subjective. With regards to the icons, can we not have the color entirely overlay them? The blending between the overlay color and the arrow color causes it to feel muted and inconsistent with the other non-active icon. Also, can we have the text from the logo be vertically aligned as middle rather than baseline with respect to the buttons to its right? The baseline alignment makes it so that the logo is placed higher up, and the uneven vertical spacing of the logo slightly bugs me. Why was the key icon changed to a puzzle piece? We've graduated. When are the moderator elections?